ESAB announced its partnership with KUKA Robotics to create products and services for robotic arc welding customers. ESAB is one of the world’s largest manufacturers of welding and cutting equipment and welding filler metals. ESAB’s Automation Process Center in Florence, SC has over $2 million dollars of equipment on display ready to weld heavy and light duty applications. ESAB provides training, seminars and weld development for everything from sub-arc to hybrid laser-arc welding. “The establishment of our relationship with ESAB is important for KUKA Robotics to support the growth of the robotic welding business in the United States, and an exciting collaboration to bring world-class robotic welding technologies to the market” said James Cooper, Vice President Sales & Marketing KUKA Robotics US. 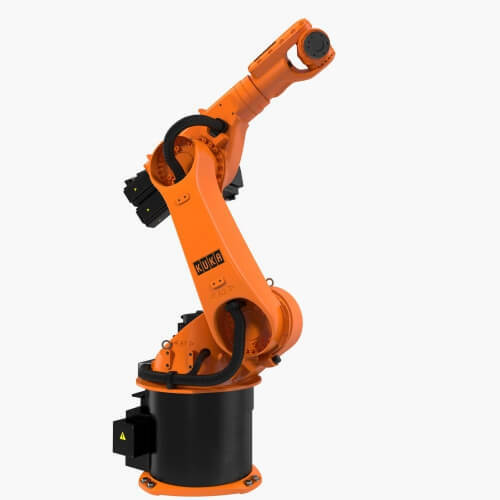 KUKA robots are utilized in a diverse range of industries including automotive, aerospace, foundry, and metal forming and fabricating, as well as multiple applications including material handling, machine loading, welding, bending, joining, and surface finishing. KUKA robots range from 5kg to 1300kg payloads, and 635mm to 3900mm reach, all controlled from a common PC based controller platform. With more than 100 years of experience, ESAB Welding & Cutting Products is one of the world’s largest and most skilled manufacturers of welding and cutting equipment and welding filler metals. Recognized as the technological leader in the industry, ESAB is committed to providing customized solutions for their customers.